Rus has 23+ years of service to the country as an Army Veteran which has developed his expertise in many areas. 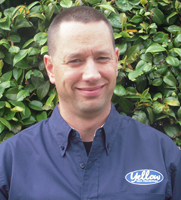 Rus is known for his ability to troubleshoot, diagnose & develop a lasting solution for nearly any problem. His interests include old homes, stained glass & wood working. He is a proud father & husband. Rus enjoys restoring things back to their glory & improving them if possible. After working in small family owned businesses to large corporations and serving the US Army with several tours on Active Duty, I was ready for a change - TO BE MY OWN BOSS!! I took the plunge and purchased a Yellow VAN Handyman franchise and started working for my members by doing what I love - helping others and fixing stuff!! A registered Lowes/Porch Pro. Click the icon to visit Porch. Project: Replace railing on 2nd floor walkout roof. Comments: Rus was knowledgeable about available and appropriate products to use on this job. The only delay in the job was not his fault. Very happy with the end product--looks every bit as good as what was expected, if not better. Did what he said he was going to do; old materials are all off the premises; he called and communicated with me during the job; then took photos and sent them along with the invoice. Rus was courteous-can't say that about the other guy I had called! I will be sharing his name and number with everyone I know. I have been telling everyone what a great job Rus did on my bathroom. He certainly will have no problem having plenty of business. My bathroom is beautiful. Rus does great work and is easy to work with. Rus is Awesome. He is highly skilled & completed everything I needed done. I feel at ease with him in my home. He is professional and personable. Couldn’t ask for a better handyman. Russ always is on time, and very professional. I have had him do several projects for me, and I have alway been pleased with his work. As always Rus did an excellent task!